I've just got back from a week at my Mum's, and oh how I have been missing my crafting! I left several scheduled posts so you, my friends, won't have missed me as much as I've missed you! On Easter Monday we took the train in to Liverpool to see the Terracotta Warriors exhibition and oh my, the rain! In fact first thing in the morning there was snow, which turned to very heavy rain when we were waiting at the station for the train. Luckily it dried up later, in typical April Showers style, so when we got back here and this month's Papercraft Essentials was waiting for me, complete with rain/pond/puddle themes stamps, stencil and die set, I had to play straight away. The stencil and the boot stamp are from the magazine set, and the umbrella and sentiment from two Clearly Besotted sets. Great card Jane! Lucky you seeing the Terracotta Warriors - on my bucket list. LOVE this card, someone else you know has been using that set - call by the Playground on Sunday to see just who - not me, yet! You always create the cutest cards, Jane! I love how you placed the raindrops and your umbrella is darling! Love those darling boots, too! Thank you for making me smile, and thanks so much for playing along with us at Addicted to CAS!!! Hope you enjoyed your visit with the terracotta warriors, welcome home. Love your make today, great to get to grips with new stash right away, isn't it? Great card Jane. Aren’t the Warriors fantastic? We saw them, quite by chance, when we were in Malta a few years ago. Love the simplicity of your sweet card! 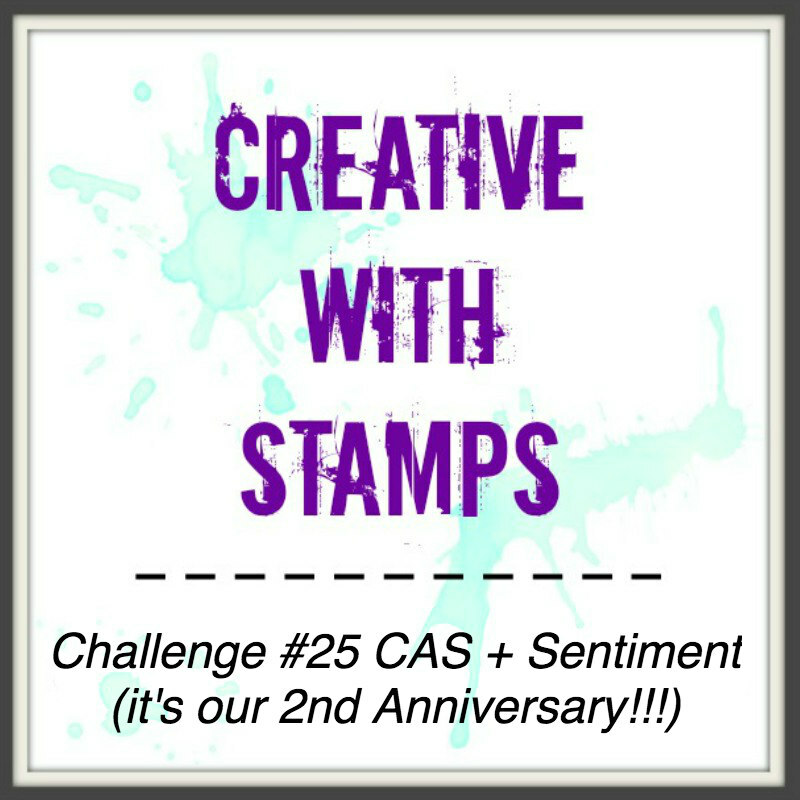 Thanks for playing along with us at Creative with Stamps! Such a sweet card. Thanks for sharing at ATCAS! Sweet card love the CAS look! 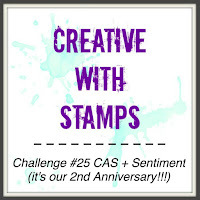 Thanks for sharing with us at Addicted to Stamps and More. Such a fabulous make! Thank you so much for playing along at CWS Challenge this month. Looking forward to seeing you again!